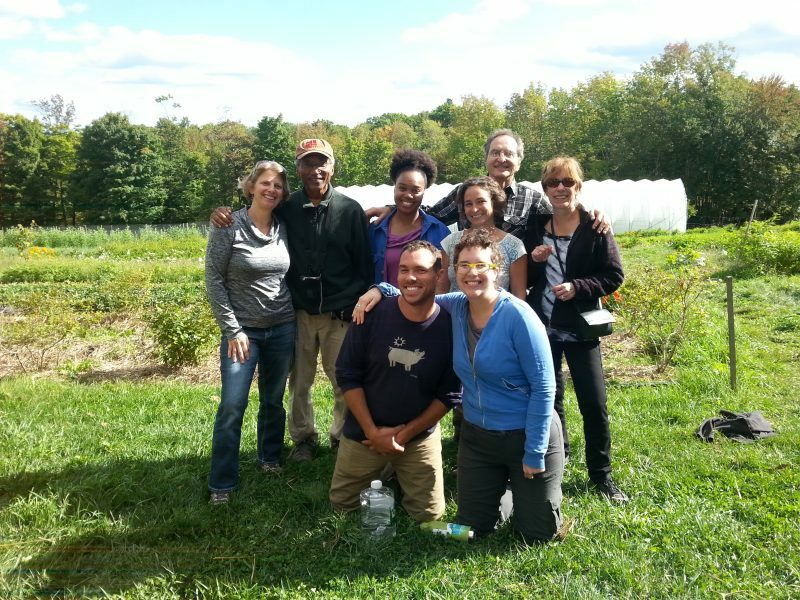 Addressing Food Justice: A Visit to Soul Fire Farm. “Justice” is a word—like “love,” “health,” “intelligence,” “happiness,” and “sustainability”—that bears close scrutiny when used. Combined with the noun “food” into the phrase “food justice,” it invites a scrutiny that is complex. One could argue that global and American injustices in food production, distribution, and consumption are related to every other kind of social, political, and economic injustice—to issues such as class, race, gender, education, and jurisprudence. Given profound worries about a farming future impacted by climate change and water and oil depletion (oil, for example, is used for fertilizer, herbicides, pesticides, assorted fuels, and transportation), how much do food-justice correctives today assure a more equitable future in food production, distribution, and consumption in a more challenging tomorrow? Addressing the food-justice plight of people of color, a unique young couple, Leah Penniman and Jonah Vitale-Wolff, started a model family farm. The name of their farm captures the spirit of their work: Soul Fire Farm. Their mission and focus is providing healthy food through the sliding-scale CSA (community-supported agriculture) model, mostly to people of color in Albany and Troy, NY. Seventy-five percent of their shareholders live in USDA-determined “food deserts.” Fifty percent identify as “low income,” and thirty-three percent use EBT/SNAP to pay for their shares. What most distinguishes Soul Fire Farm, however, is the commitment of Leah and Jonah to “food justice” through education: immersion programs for training black and Latino young farmers on their farm; participation in international and national educational conferences; and programs to help and empower people to control land, develop farm skills, and grow food. 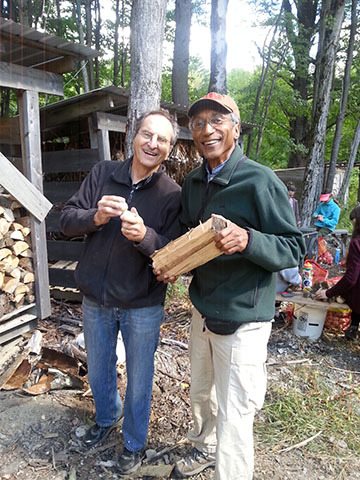 As a friend to Soul Fire Farm, and as a current resident of EcoVillage Ithaca (EVI), I perceive a natural institutional correspondence between the mission of Soul Fire Farm and that of EVI’s nonprofit educational organization, Learn@EcoVillageIthaca (LEARN)—namely that of education: preparing young people for a future that will be drastically different from our present. EVI is a model of an approach to living in sustainable community, combining food, energy, cohousing and other living efficiencies with governance and financial structures to make it work. What if the young people learning about farming and food justice at Soul Fire Farm could also be exposed to the ecovillage model as part of their preparation for the future? And what if—consistent with LEARN’s mission to “support and draw from a variety of practical and visionary resources” and LEARN’s values of “increasing outreach and education to a more racially and economically diverse population”—we were to build a learning partnership with such an outstanding farming institution? To experience Soul Fire Farm and explore this possibility, a contingent of eight Ithaca folks from EcoVillage Ithaca and Groundswell Center for Local Food and Farming traveled to Soul Fire this September for a Community Work Day and Skill Share. We cut and stacked wood, trimmed garlic, and did field work. We then enjoyed a wonderful potluck meal and had a discussion about food justice. I believe that everyone was duly impressed with the farmers and the farm. Because I worry that the food justice we seek will be an ever-receding mirage under the unfolding twin crises of climate change and peak oil, I would like to see LEARN establish a partnership with Soul Fire Farm. LEARN could further educate Soul Fire students through exposure to the model of the ecovillage, and Soul Fire could further educate student farmers in Groundswell. Soul Fire Farm and Learn@EcoVillageIthaca are institutions led by great visionaries who, together, can help in that education.